Sitting in a Jiffy Lube while my car was getting it's oil changed Carrie and I continued to work on the Aether's Light project while the manager peeked at our drawings trying to figure out what we were doing. Ideas have been popping into our heads all the time, with the inspiration coming from all around us. Since Carrie was sick and home from school the last two days suffering from a strep infection, she had a lot of time to continue sketching and scheming. Looking at the sketches that we did of the species earlier in the week, we decided to finish tackling the Inkami while digging into the history and details of the Ajordo. The Inkami are a nocturnal species that inhabits the islands of Roto. Cute, fuzzy, and seemingly harmless, the Inkami can be anything but. Although they have developed great intelligence over the years, they have done so all the while existing as a prey-species. There are dozens of creatures on Roto that enjoy the taste of Inkami flesh, from giant predatory sky serpents that hover through the clouds inflated by large internal gas-sacs, to the ape-like "Thaag" that rule the jungles from the tree-tops. The greatest threat, however, could be the Last Bane, a monstrous creature hundreds of meters in height that regularly arises from the waves to come onto land and feed on everything. But all of this danger doesn't stop the Inkami from being who they are: adventurous and swashbuckling fur balls with serious chips on their shoulders. In the campaign setting of Aether's Light Inkami often serve as scouts, messengers, and spies for both the Agreoni and the Lunarians. An Inkami right of passage is to slay a sky serpent alone, and once they are considered an "adult" amongst their people sometimes they leave their earthen homes and stowaway aboard the spacecraft of merchants and surveyors. When asked to get off the ship, the typical Inkami stowaway can prove to the captain or commander of the ship that they are worth keeping aboard. Besides, they don't eat much! Using the Savage Worlds rules Inkami are Small beings that have to live in a world where just about everything can stomp them out of existence. They begin play with a d6 in Stealth due to the nature of their upbringing, but are absolutely fearless and have a starting Spirit of d6 as well. Sleeping during the day and living their lives at night an Inkami has excellent Night Vision that helps them see in nearly absolute darkness. The Ghostworld of Saroosh is a sandy waste full of ruins: buildings from ages past, towers from ancient species', and roads long worn to near uselessness. Amongst these crumbling scenes an occasional walled fortification appears, many of which are hundreds of miles apart. The Fortress-Cities of the Ajordo, these bastions of safety and solace have a near medieval appearance and yet are full of technological marvels left behind by "The Masters", the alien entities that brought "The Servants to Saroosh millennia ago. The Ajordo have no name for themselves other than "The Servants." When first encountered by human scouts linguistic software was utilized to try and bridge the language gap with the stoic people of Saroosh. The programming was corrupted by the incomprehensible language of the creatures, and the garbled word "Majordomo" was displayed on one of the computer monitors. The "Governor" of the Fortress-City that was first encountered saw the word, liked the placement of some of the letters, and declared to the humans that his people were to be called the "Ajordo" in the Agreoni dialect. The name stuck. Ajordo, at a glance, are monstrous beasts between eight and nine feet in height. Each one is a towering behemoth, with think skin, broad chests, elephant-like skin, and an eerie glare from their huge black eyes. Were an Ajordo to be clad in armor and given a firearm they could be an unstoppable tank in combat. But this is not the Ajordo way, as "The Servants" are zealous pacifists. Bred (or perhaps created) for pure service amongst "The Masters", the Ajordo were very rarely called to arms despite the obvious advantages that they possess. Ajordo do not often leave Saroosh, but when they do they easily find work amongst all the peoples of the Aether System. One can find Ajordo medics tending the wounded on a battlefield of Agreon, hauling materials on a star base in orbit around The Husk, or simply shoveling snowy paths from building to building on frozen Lune. Ajordo are massive creatures, and receive a +1 to their Size as well as a starting Strength of d6. Environmental hazards are also less of a threat to the Ajordo constitution, and so they receive a +2 bonus whenever they are trying to resist an environmental effect. All of this physical might comes with a very timid personality. Ajordo receive the Pacifist (Minor) hindrance when they begin play as well as Cautious. Never known to rush into a situation, Ajordo always take careful stock of the situation before engaging. Finally, although the Ajordo live in great Fortress Cities full of amazing creations, most of these were actually constructed by The Masters, and the Ajordo kept to knowledge of how to recreate the science. Therefore all Ajordo begin play with the All-Thumbs hindrance as well. I promised magic info in the last post and am still not quite there yet. Carrie and I still want to stick to a "good" and "bad" magic system, although I think "corrupt" and "uncorrupted" is probably better. We could see good hearted people using dark magic, and evil spellcasters bending light magic against heroes. The concept remains that "light" magic (fueled by Aetherite) will come from Aether and it's rings while "dark" magic, a relatively new phenomenon, will come from the Husk and it's Marrow. We've also finished using the Racial Ability system from Savage Worlds to create all the character options for the remaining playable species, and once we have more backstory created we will post them in the same fashion that we've done with the Ajordo and the Inkami. The Inkami live on a special world. Everything on their planet is bigger than them! Big everything! Big monsters, big trees, etc. The Inkami earlier on had trouble surviving. Quite a few of them died each day because of everything being so big. On top of all that, it was stormy every day. There were 17 islands. Each one had its own little kind of state. Every little island agreed to make hidey-holes to survive. It worked! The Inkami survived Now a terrifying monster has taken over: the Last Bane. It is big, bigger than the tallest creature ever. They tried to stop it but nothing worked. So they hid. And that is what they are doing to this day. Servant #64 (S64) is an ordinary Ajordo. He doesn't swing first, he isn't aggressive, he isn't anything like that. Now, you would think a big tough brute would be the opposite of all that. you wouldn't think he was a servant, you would think he is the fighter. But no, he would probably be the healer or medic. Now let's get into the story! S64 is a large brute who lives on the moon of Saroosh, which is a land full of ghosts. The ghosts destroy any villages that are created and turn them into ruins like the rest of the world. The Ajordo now only have one fortress that they all must live in. So they each have ta little hut. Everyday S64 goes out and protects the walls of the fortress. S64 one day while he was guarding saw a ghost. It was a certain type of ghost though. The ghost grabbed S64 and took him to their ghost base. The ghosts studied him, they were trying to find a weakness! S64 was not okay with this. He came up with a plan. He did nothing for a long while and then acted. He jumped up and told those ghosts who was boss! He whipped them and smacked them good. S64 took the solutions to the Ajordo weaknesses and ripped them to shreds, letting the wind take them away. S64 then went back to the fortress and kept guarding. I was worried that I wouldn't be able to hold on to Carrie's attention, that this project would be a fleeting excursion, but it looks like we're both fully committed to developing the worlds of Aether's Light. When I write a setting on my own I try to immerse myself in works of inspiration, so Carrie and I have spent the last few days watching videos, playing games, listening to music, and looking at pictures. When I was in my early 20's I loved downloading tribute videos for Final Fantasy games, especially Final Fantasy VII and VIII. It's a bit of a dirty secret that I still enjoy watching these on YouTube (here's one of my favorites), and I made sure to show Carrie a few that could take place in our campaign setting. We spent Saturday evening playing Final Fantasy X in my son's room, with Carrie writing down ideas for the character races/species while my son and I swapped the controller back and forth during the game. I downloaded dozens of pictures off of Google Images, to capture the proper mood of the setting and give us sample landscapes and backdrops (again, another of my favorites.) After this is posted I plan on setting up a proper playlist on iTunes, which I intend on sharing. Our initial theme was "Magic Space Marauders", and while we didn't want to stray too far from this, it's awesome how much has poured out of our nerdy minds while brainstorming options and ideas. In the Aether's Light Campaign Setting there is a single ringed planet called "Aether" that has five habitable moons: Agreon, Roto, Saroosh, Bolera, and Lune. Thousands of years ago a massive human starship came into the Aether System via an anomalous portal that appeared high above the ringed world and subsequently crashed landed on Agreon. The humans had been prepared to set up a colony, although they may not have expected to have to do so on this particular world, but they made the best of the situation. Over several hundred years two distinct civilizations formed on Agreon: Goetha and Zaenaan. Eventually the humans made contact with the other intelligent life throughout the Aether system and even set out to colonize the moon nearest Aether, a small luminous world that was named "Lune". Eventually the Lunarians (as they would call themselves) would create their own distinct culture from the Agreoni, and given their close position to Aether (the world radiates magic somehow), Lune became the jewel of all the moons. About one-hundred years ago another anomalous gate, similar to the one that allowed the humans to enter the system in the first place, opened very close to the world of Lune. A gargantuan form entered the system, an unexplained astral body of intense energy and insanely powerful gravitational properties for it's size. The "Husk" as it came to be known, was not a dead rock but it also was not necessarily alive. As it occupied the same orbit as Lune, it won it's tug of war with the small moon and flung it into a high elliptical orbit far away from Aether… along with all of it's inhabitants. Carrie and I have spent much of our time since Saturday working on ideas for the species of the Aether System. Originally we had seven but have since placed the "Construct" and "Magic" races on hold as we develop what we have. I did some rough sketches for all of these and because I'm really not a very good artist please don't expect these images to be anything more than "rough" in the future! Although we haven't played with the game mechanics yet, we'd like to have each species feel very "distinct" and so we are toying with the idea of using a racial ability base of +3 or +4 rather than the standard +2 in Savage Worlds. We started with the Humans, and decided that there should be further specialization between humans that were born on Agreon (the Agreoni, from either Goetha or Zaenaan) or those born on Lune (Lunarians). Carrie wanted an "elf-type" race of humans, and I asked her if she though that was an easy way out, to which she said "no." This was discussed at a very high level meeting in the Sheetz parking lot. So the plan right now is to have the Lunarians have more of an elvish look to them, perhaps pointed ears and green, blue, or pink hair. Our other developed race right now is what we started off calling the "Cutey" species for my middle daughter Evie. The Inkami (Carrie's choice of names, to which I was very excited to hear), are small furry creatures that look like a mix between an Ewok, Gizmo, and Yoda. Personally when she described them I was thinking about Emps from Ultima 7. These creatures live on the jungle/island moon of Roto, where there are giant monsters all about, and just about everything is big enough to make a poor Inkami a dinner. Some images from Carrie's game development diary, on the left is a "Sky Serpent" that hunts in the skies above Roto as it hangs from a huge tree. Some pictures of the possible Husk to the right. Less developed at this point we have the Grelth, or as the humans call them "Growlers", a canine species that lives on the wild moon of Bolera. The Ajordo are a species of hulking brutes that live in the haunted ruins of Saroosh. Naming the Ajordo was kind of fun. We wanted them to be a servitor race of a long dead extraterrestrial civilization, left stranded amongst the rubble to make due on their own. One of the synonyms to servant was "Majordomo" and we just took some of the letters out of the middle. Both of my daughters thought the word "Majordomo" was hysterical! We still have one alien race left to describe: the four armed amphibian merchants that have come from either another planet in the star system or perhaps another star system altogether. At least we have a good sketch now of the Aether System and some of our points on the "tourist's guide!" I also pulled out some of my older game maps that I drew for D&D campaign settings (but didn't get a chance to use) and Carrie picked one for our map of Agreon. We have a basic idea of how we want magic to work in this game. We'd like magic to be generated by substances, either Aetherite from the planet's rings or the Marrow from the Husk. Obviously the Aetherite will be more of a "White Magic" while the Marrow will energize a much more harsh magic but at great cost (for now we are calling it "Corruption.") We haven't figured all of that out yet, but hope to do so soon. We also plan on stat'ing the arcane backgrounds as well as the species'. My favorite thing so far about doing this is that no matter how sick I am, I always have fun. (BTW, I have strep…) I am definitely looking forward to working on this more. If I were a player, I would probably want to be the Inkami, just because they look like fluffy Yodas. I can't wait to do this again!!! There are few "skills" that I feel qualified to pass down to further generations. I can't fix a car, build a cabinet, perform minor plumbing, install any new wiring… the list of things I can't do (but other fathers can) is pretty long. I'm a nerd, I do nerd things. 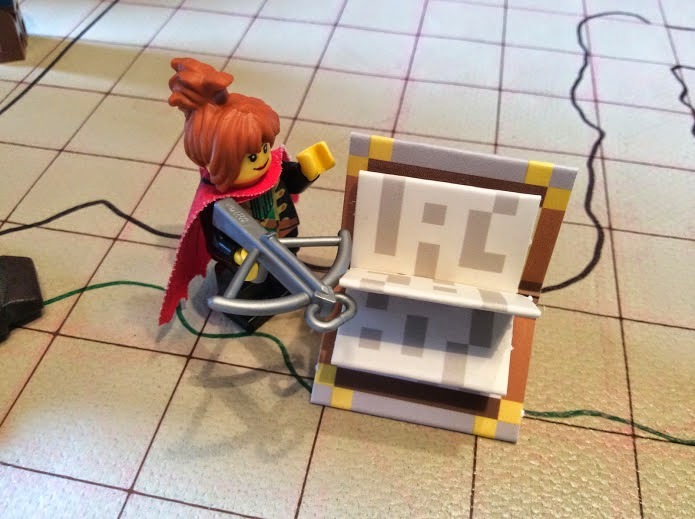 I can show my daughter how to set up the port-forwarding on our router or walk my three-year old son through building a basic house on Minecraft. But I've always wanted to do something with my kids that will last, something that they will remember. 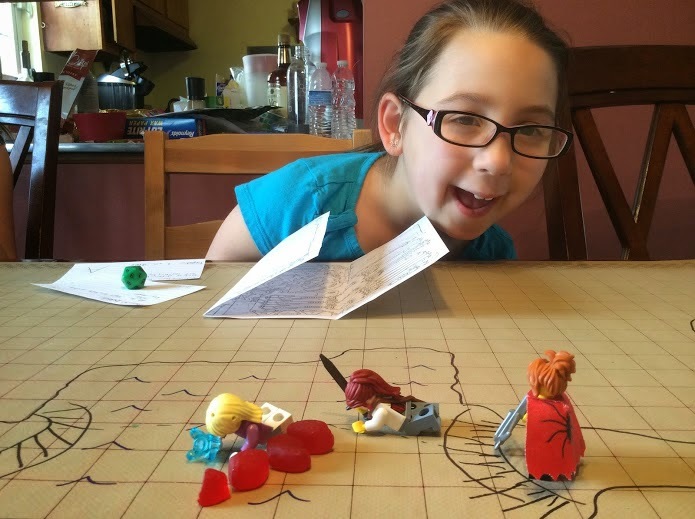 True, I do game fairly often with my girls, and if you haven't had a chance to read them yet, I invite you to take a look at our Numenera: Disenchanted Tales. But for me it just wasn't enough. Leave it to my 10 year old daughter to give me the source of inspiration necessary to kickstart some new ideas! Carrie, an aspiring podcaster, YouTube celebrity, and internet sensation, is an amazing storyteller recently coming into her own. Her story concepts that she writes at school are incredibly well thought out, complex, and detailed. So when I approached her about working on a project together she jumped at the opportunity. Our plan was simple: create a campaign setting for our own use and share it with the world, from initial conception to play tests. With both of us sitting on a blanket at my middle-daughter's soccer game today we started putting our notes together. While I've created many of my own home-brewed settings over the years, since this is something new for Carrie I decided to walk her through the entire process step by step and show her my methodology. True, I haven't written a setting in many years, mostly because of all the evil and dark distractions that come with being a grown-up. For me this is a fantastic new opportunity give my own imagination a stretch. After Soccer practice, Carrie and I dragged all of the books off of my shelf that we thought would be helpful in our initial campaign design. From our initial conversations last night we had a very rough concept: Space Fantasy. So for today's session we focused on figuring out the following: Theme, Inspirations, and Choosing a Game System. Although Carrie was immediately fascinated by my Space 1889 and Spelljammer books, both of which could be used to create a Space Fantasy campaign, she was insistent (much to my delight) on creating a setting from scratch. 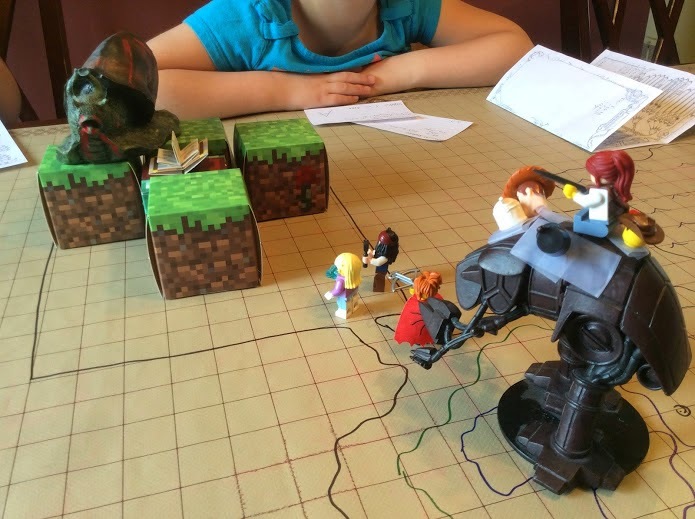 We decided that the heroes of our world will be at a severe disadvantage, living in a planetary system where all of the moons are habitable, but where the monsters have "won." Carrie liked the idea of including magic in a science-fiction game, but wanted the magic to be limited, and not something that everyone could do. I suggested that we link magic to a resource, and so the gas giant at the center of the system (which we are calling Aether) has a series of rings that are the source of arcane materials. The humans of a very small moon orbiting far from the four main moons of Aether need the arcane "stuff" to power other "stuff", and so they must raid the inner moons. This led us to a Viking theme for the humans. We're going to go into more depth on the magic system in our next session. As to technology, as much as we decided to limit magic, Carrie didn't want to limit science too much yet. She liked the idea of using a technology level akin to Firefly, so some computers, guns, and most importantly ships that look like traditional space ships. We talked briefly of the kinds of ships you could find in Spelljammer or Sundered Skies, and she thought it best that we have a more conventional look to our vessels. I showed her some pictures from PDF's that I've downloaded over the years from 0-Hr: Art & Technology and she leapt and the images of streamlined starships. So our "Marauder" player characters will be outfitted with these ships and use them for excursions to the inner moons and on raids of the "monster" infested worlds. When I write a setting I like to think about other things that I've read, watched, or played that help me get in "the mood" to create. For me, I need visuals to get passionate about a project. Our initial source of inspiration was The Little Prince by Antoine de Saint-Exupery, featuring heroes that for some reason or another were from a very small planet or moon. The way Carrie was describing the idea in general was sounding a lot like a Final Fantasy game to me: magic crystals, good versus evil, an epic tone. Being a ship-based game, we'd also be borrowing ideas from Firefly and Serenity as the characters will have their own vessel at the start of a typical campaign, and it would be both their own as well as their means of travel. I'm sure we will continue to look for more sources of space inspiration, and will probably be drawing from other movies like Disney's Treasure Planet, Titan AE. Finally, and perhaps due to the fact that we were watching Fullmetal Alchemist just prior to our first world-building session, I think we expect some Anime tone to be tossed in the mix. 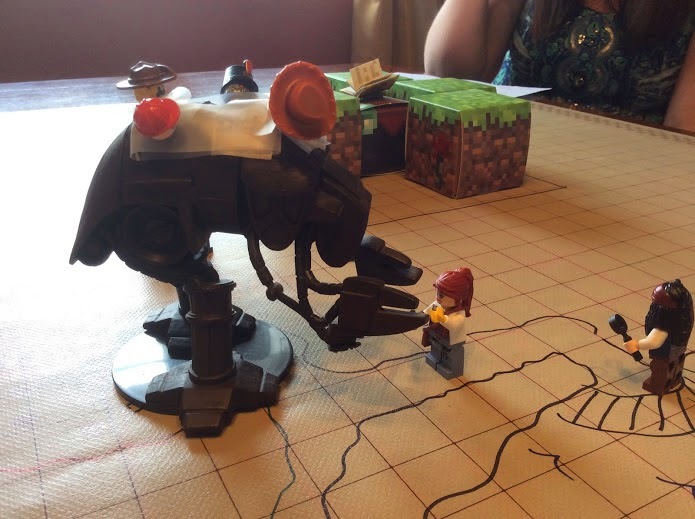 With everything that Carrie wanted to do, we decided that Savage Worlds was the only way to go. 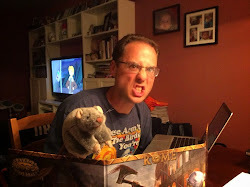 While there are other generic systems out there, both Carrie and I have the most experience with Savage Worlds as well as most of the books. Also, the action-adventure feel of spell-slinging-space-pirates pairs very nicely with the pulp feel of Savage Worlds. We have a basic layout for the Aether System, with some names and notes about what sort of things have been happening to this unfortunate part of space. We are also going to start defining the Archetypes that players can choose, as well as the Arcane Backgrounds we are going to allow. I am very excited about doing this activity. I would LOVE to be able to play this when we are done, but there is only one problem: I would know the whole thing! One thing that I like about this campaign is the space theme. I absolutely love space. I love how you can go beyond our real space world and see things that might (probably not) be out there! I hope we can keep on doing this and maybe it will become a daily thing!!! Weird Wars Rome - Appian Slay! The armies of Spartacus and his generals have fallen, and despite his overwhelming success in battle, the Roman general Marcus Licinius Crassus had his victory marred by the political machinations of his rival Pompey Magnus. When the latter claimed celebration for accolades not earned, Crassus took out his anger on the living remnants of the slave army, executing them and placing them on display along the Appian Way. Following the battle, many of Crassus' men were required to maintain order along the road to Rome. Amongst these men were the Third Cohort of the First Legion, nicknamed the "Keepers of the Dead". The Third Cohort was charged with watching over checkpoints between Fregellae and Teanum, operating out of the fortified town of Catella to the south. Rumors were rampant that after the Battle of the Siler River, even though over six-thousand slaves were crucified along the Appian Way, and another five-thousand captured and re-enslaved by Pompey, three-thousand escaped slaves fled the battlefield led by Agron, one of Spartacus' generals. A powerful general in his own right, the Romans feared that Agron could lead a guerrilla war against nearby towns and villages. The Decanus had been seriously injured during the Battle of the Siler River, and was busy with his Conturbernium (eight man tent group) finishing up a watch over the southernmost checkpoint between Fregellae and Teanum. Nursing his sore leg, which was impaled just four days earlier at the battle while successfully fighting off a trio of rampaging gladiators, the Decanus was ready for retirement and had settled in for the night at the campsite. His orders were clear: report back to his Centurion Appius Lucullus, if any sign of Agron and his escaped slaves appeared near the road. But when evening rolled around, and only five of his soldiers returned, the Decanus became concerned. The Hunter, Face, Ox, Tough Legionary, and Eager Recruit managed to make it back, but no one had seen or heard from the Medicus or Marius Lucullus since early afternoon. Since Marius Lucullus was the sixteen year old brother of the Centurion, the Decanus decided to put a search party together. The Hunter, Eager Recruit, and Tough Legionary all returned to the checkpoint on the road. The Hunter picked up the trail of a pair of legionaries moving northwest and off of the road into the woods. Since this had to be the Medicus an Centurion's Brother, the scouting party followed the trail to a tree that the two lost legionaries must have used as a target for knife throwing. Figuring that they had moved fairly far away from the road, the Eager Recruit climbed a pine tree to get a better look around. There on the road, a couple hundred yards to the west, were two bodies clad in legionary armor lying on the ground and several armed figured surrounding them. Once the Hunter was notified, he moved quietly through the tall grass to reconnoiter the scene. But when the Hunter finally got a good look, his blood ran cold. The Medicus and Centurion's Brother were both lying on the ground. The armed figures were gladiators, but they looked pale and horrifying. The Hunter's eyes shifted from the battle scene to the nearest crosses: they were empty! The gladiators of Spartacus had somehow come back to life and removed themselves from the crosses! The Hunter let out a horrifying screech and started running back to the rest of the patrol, with seven undead gladiators close behind him. As soon as he reached the Tough Legionary and Eager Recruit he only had enough time to give them a quick description of what he had saw, and then the three were all running together back to the Decanus. The chase through the grass was harrowing, and one of the gladiators almost managed to capture the Hunter with his net, but the three did make it back to the checkpoint. Luckily for the scouting party, the Decanus had heard the Hunter's scream and brought the Ox and Face back to the Appian Way. The Decanus called for his five remaining soldiers to form-up, and so each man turned and faced the oncoming undead gladiators. The escaped slaves were armed with tridents and nets, curved knives and bucklers, and three had just the nails still jutting out from their hands. But the Romans were a truly armored force: each man, adorned in lorica segmentata (scale mail) had a scutum (large shield), pair of pila (heavy javelins), and a gladius (short sword). The legionaries peppered the undead gladiators with pila, and even though creatures appeared incredibly durable, three of them fell to the javelins. When the remaining four engaged the Romans, they quickly met their final demise at the end of a gladius. The Decanus rallied his men and moved north to were the Medicus and Centurion's Brother were lying on the ground. Both were alive, but the Medicus was barely hanging on. The Eager Recruit, a farmer by trade, tried to heal the Medicus using skills gained during the birthing of cattle and was marginally successful in giving the dying Roman a few more minutes of life. The Medicus said that the two of them wandered away from their post due to boredom and that the Centurion's Brother had been swimming in the river when it had turned to blood. Hastily making their way back to the Appian Way, the two were met by the escaped slaves returned to life. The Medicus denied any attempt to save his life and return his body to the rest of the Cohort at Catella, but told the Decanus that the Centurion's Brother, who remained unconscious, needed to be saved. Seeing that the rest of the crosses on the road were also abandoned by their dead, the Decanus decided that the trail to Catella was too dangerous, and instead led his team on a three hour off-road trek through the hills to the town. He ordered the Eager Recruit and the Ox to carry the Centurion's Brother on a make-shift stretcher, and the Hunter and Face to carry their comrades' shields. They made good time blazing a trail with the Decanus at the front of the party lighting the way with a torch. 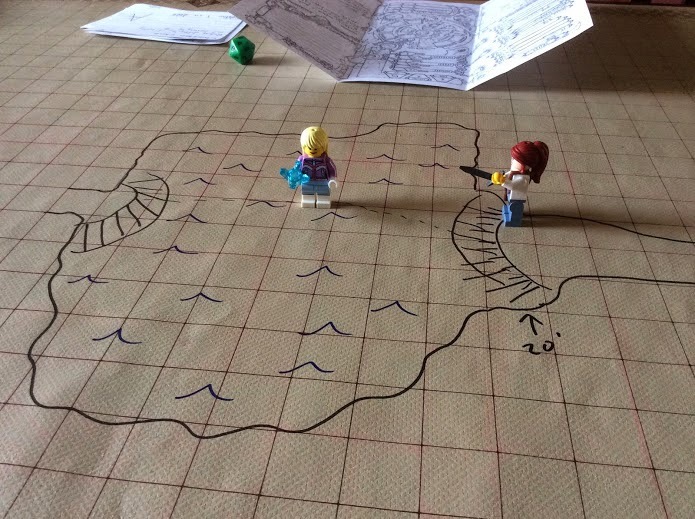 Halfway to Catella, the party encountered the Sacco River, which could now be called a "river of blood." Hoping that the blood was some kind of wine, as the Face unexpectedly exclaimed was very likely, the team waded into the shallow river and started to cross. 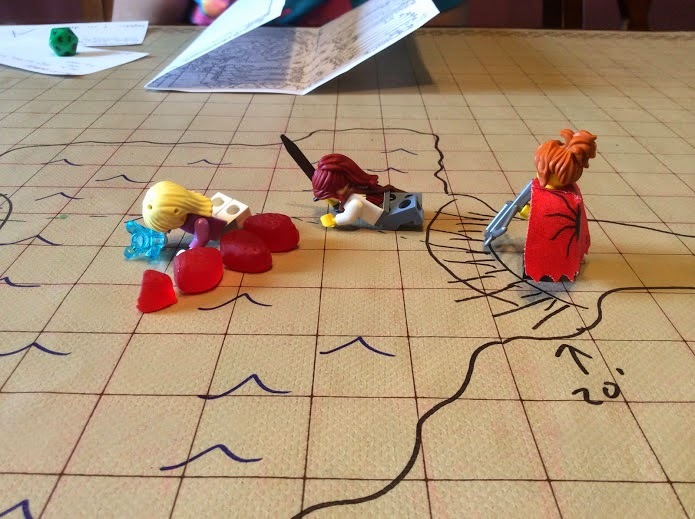 When pieces of viscera and chopped flesh started to bump into the characters' waists they were nearly overcome with disgust, but it would be the swirling mass of Hate that came out of the water that would be the party's next true obstacle. The massive conglomeration of dead gladiator souls started to surround the party, all except for the Decanus due to his lit torch. The party members that were engulfed by the hate went berserk and started to attack their own teammates until they shake off the odd effects. The Decanus realized that his torch had kept the Hate at bay, and that regular weapons could not harm this monstrosity, and so he charged into the dead mist waving his flame. This broke up the Hate and gave it pause, enough of which so that the Decanus could command his team to continue across the river. By now the Hunter, Tough Legionary, and Eager Recruit had all created torches while the Face cheered the party on giving them comfort. Using the combined might of four torches the Hate was completely dissipated and the team continued their maneuvers toward the town of Catella. When Catella came into view it was clear that all was not well. Undead gladiators had slain much of the population within the town's fortified walls, as the gates had never closed. The only sounds now came from the arena which was situated just outside of town on the southern end. There, seventy-two undead were being pelted by javelins and arrows from peltasts and skirmishers atop the arena's wall. The party stowed the Centurions Brother in the bushes nearby and made contact with a trio of Greek Auxilia. The peltasts told the party that the Centurion was inside the Arena but had no way of getting out. He had at least fifty men inside with him, however, but most were armed for hand to hand combat and the doors were completely barred by dead and swarming gladiators. The Face remembered that there was a sewer system below Catella, and that it connected the walls of the town to the Arena. using her Dolabra to lever the grate from the side of the wall, the party moved into the Arena and gave the Centurion relief at last. For their deeds the Centurion promoted the entire party to Decanus and gave each a Conturbernium to command. The Centurion said that several hours ago the slave general Agron had entered the town with a summoned army of the undead. Agron must have gained access to some sort of spiritual powers of his ancestral German lands, and was now at the center of the town surrounded by his dead brothers and sisters. The Decanus and Centurion devised a plan. The Decanus would sneak his new units into the sewers and erupt out of the center of town near the square where Agron was doing his dark rites. The Ox, Face, and Eager Recruit would each lead their units into the center of town in a Tortoise formation. The Tough Legionary and Hunter would lead their units of peltasts and velites to the walls where they would rain dead upon the already dead with sling stones, arrows, and javelins. The last battle was an epic victory for the Romans! The core force, in defensive formations, were able to punch straight through the center of the town due to their own tactics, and the accuracy of the peltasts and velites on the walls. Many of the undead gladiators never even got a chance to engage the oncoming Roman "tanks." Once they did reach the center of the town, the liberating force of Romans met with the Decanus' team, which successfully used the sewers to flank Agron's guard. The general of Spartacus didn't even have a chance as thirty-two Roman Legionaries charged him and brought him down in a bath of blood, violence, and Roman victory! 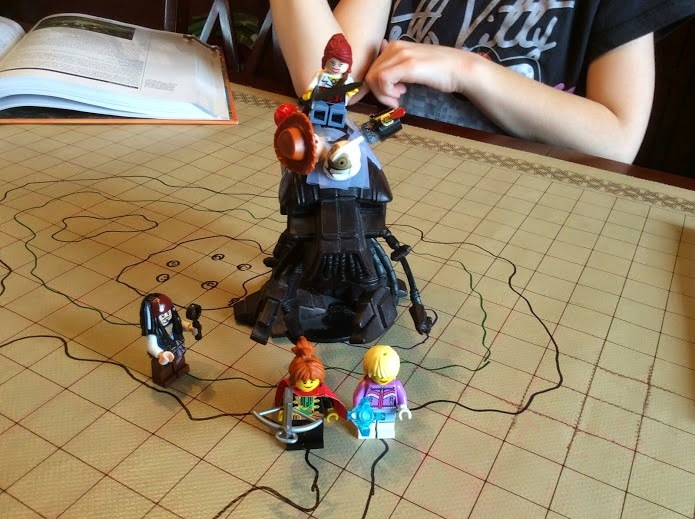 After planning extensively at the ogre lair, our brave team of adventurers led Sister Evangeline, Cozric-Tigh, and the ogre raiding party north-west to the Obscura base of operations and aerodrome. Waiting for nightfall, Fangzhi laid out their plan for the team: after the ogres created a diversion on the eastern edge of the base he and Reginald Thistlethorpe would infiltrate the buildings on the base while the rest of the team captured the airship. Although it wasn’t clearly defined at the time, the party had two other significant challenges to deal with, both the steam-enhanced T-Rex and the rocket launching pylon. Once everyone was sure of their roles the party split up and prepared for the assault. The ogre diversion was a bit of a massacre. Five of the monstrous beings charged onto the airfield, raising spears, clubs, and stones in defiance toward the Obscura forces that for so long caused their kind pain and suffering. Despite a strong showing, the ogres were no match for the guards and their bolt-action rifles. Before the ogres could get off the field the nearest Obscura cultists opened fire, forcing the ogres to make their hasty retreat off of the airfield. But before the ogres could leave the base’s perimeter the rocket crew targeted the center diversionary force and unleashed a single high-explosive round incinerating three primitive souls. The remaining two ogres ran back into the woods with five of the Obscura guards in close pursuit. The diversion, while unfortunate for the ogres, was still useful for the inquisitives. Fangzhi acted first, quietly jogging out of the jungle’s edge straight at a guard outside of a nearby building. Just before the guard saw the martial artist, Fang threw his sleep inducing satchel bomb, created earlier by the Martian philosophe Cozric-Tigh, at the guard. Perhaps it was the alcohol he was consuming earlier, or maybe just the fact that he was a big tough guard, but all the device did was stun the target. Groaning, Fang ran into the cloud himself to finish the job, and despite a strong backhand to the Obscura cultist’s face, he remained standing. The same could not be said for Fangzhi, who fell into the guard’s arms as he passed out from the sleep inducing smoke Reginald Thistlethorpe made short work of the guard, telekinetically commanding his Zulu spear “Headtaker” to do the work for which the weapon was named. Running forward Reginald took a look at Fangzhi, and despite slapping him lightly on the cheek, the psychic medium realized that his pal wasn’t waking up any time soon without a more direct method. Taking a break from trying to wake Fang, Reginald looked inside the window of the building that he was adjacent to. Great fortune be praised! Inside were three guards watching over a prison holding some Indian technicians, African workers, and a half-dozen Martians! Meanwhile on the other side of the action, Nigel Loring crept out of the jungle toward another Obscura guard with knife in hand. Carefully sneaking behind the guard, Nigel jammed the blade into his target’s neck and dragged him into the woods. Gathering the rest of his team, Nigel led Lady Thana, Captain Chance, Sister Evangeline, and Cozric-Tigh across the airfield towards the edge of the Obscura airship. Nigel could hear five voices on the deck of the airship, so he had his other two armed teammates stealthily climb over the rail of the ship where they say four Indian technicians working on the vessel and a single foreboding gentleman commanding them. It appeared that the vessel was marvelously advanced, with all of the newest innovations gracing the craft, from steam-driven turbines to liftwood panels smuggled off of Mars. Believing the dark robed gentleman to be the subjugator of the rest of the Indians, Nigel tried to sneak up on him with his knife but was quickly made out. Bolts of dark and gray fire poured out of a miniature void that the man created in the air in front of him, severely burning Nigel and causing him to stop in his tracks. Before Lady Thana and Captain Chance could shoot the man, the Indians’ eyes all turned white and they raised their screwdrivers and hammers as weapons against the party. Their minds were being controlled, that was certain, and Lady Thana didn’t want to harm them, so she did her best to push forward and continue firing on the robed figure with her pair of pistols. Once she was next to Nigel, however, the dark gentleman created a larger void above the two inquisitives and three Indians that were nearby, raining dark fire on all of them. Nigel passed out as the flames severely burned his head and face, while Lady Thana struggled to shake off the heat. All three Indians were immolated in the attack. Giving it her all, Lady Thana carefully aimed her shots on the next go-around, and dropped the shadow priest before he could summon any more flames. While Captain Chance started working with Raj, a technician who had been forced to work on the airship, Fangzhi and Reginald worked to free the Martians and other prisoners. The guards inside the building had heard the gunfire and were going out to investigate, which gave the two inquisitives the perfect opportunity to infiltrate. Sneaking inside, Fangzhi took one look at the bars of the jail and wedged a shovel between them. Using his incredible strength the Chinese martial artist bent the bars wide enough for all of the prisoners to escape! Reginald then led them all outside and told them to make a run for the airship. There were a trio of jailers to deal with, and Fang faced off with both and pummeled the ground below their feet with Ch’i energy, knocking one out completely, and sending the other flying fifty feet away. Reginald continued to herd the prisoners towards the vessel. By now the steam-driven T-Rex was moving towards the airship to investigate, and Captain Chance was nearly ready to take off. But the Sky Baron needed a few more minutes before he could get the craft in the sky, and further diversions and defense were needed. While Reginald and Fang guided the prisoners up the side of the airship, Lady Thana and Nigel used the deck guns to launch harpoons. Nigel’s attacks were focused on the rocket tower, but despite Sister Evangeline’s healing skills that were used on him earlier when he was near death, the hunter was still in a lot of pain and couldn’t connect with the rockets. Lady Thana focused on the T-Rex, which was an impressive and imposing creation! The dinosaur, when it approached the craft, took a huge bite into one of the deck guns, pulling it off and away from the airship. Not wanting to give the beast a chance to do the same to her, Lady Thana pointed her harpoon launcher at the monstrosity and fired a volley of harpoons with one planting itself right in its chest. 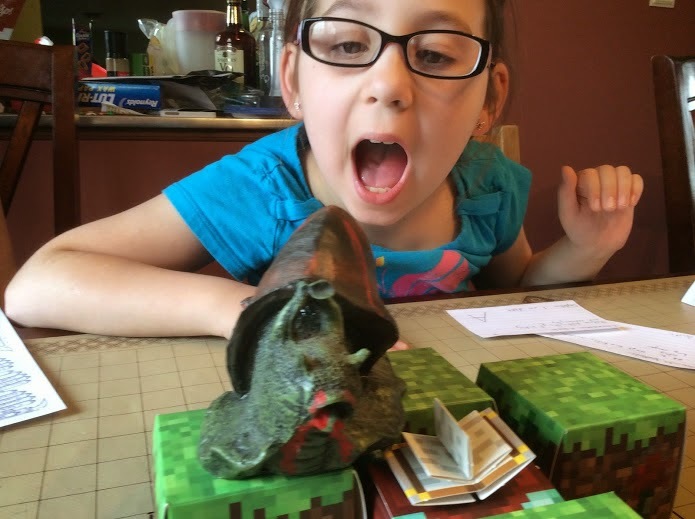 No amount of armor plating could save the beast, as the mighty T-Rex collapsed in a heap! The rockets started firing from the rocket pylon, and things were getting hairy. The first rocket missed, but it was very close, and Captain Chance yelled at Raj to move faster down in the engineering section. Reginald finished getting the prisoners on board and saw that there was one more guard nearby, who also was short work for his psychic skills. Once the psychic medium was aboard the craft, the team was ready to roll. Captain Chance pulled the ship into the air and started to blast off towards the cloud line. Despite being a massive ship, three times the size of his previous craft the Nova Victoriana, the Obscura airship was exceptionally fast... but not fast enough to outrun a rocket. The rocket pylon, still functional despite Nigel’s attempts to knock it out of commission, managed to unleash one last missile at the airship. As it flew towards Captain Chance’s new craft, however, Nigel decided that he was finished with this expedition once and for all. The big game hunter leaned over the starboard rail, took aim with his elephant gun, and shot the rocket out of the air. Their next stop was Cairo, where the party rested and recuperated before taking the remaining Martian Philosophes back to Ravenswood College in England. It had been a long and difficult mission, and everyone was looking for a bit of a vacation. “That’s a pretty pathetic Pokemon collection!” - Brian wanted to collect more than just one Martian. “I wanted to deflect it with an Indian!” - Frank’s character Fang definitely wanted to rescue the Martians, but the rest of the freed slaves were free game. “You can’t double-tap a harpoon gun!” - Jim to Melinda, who was getting carried away with the rule she just learned about. “See, there’s another reason for you guys to keep me around!” - Lady Thana, not just another dainty lady. Commodore Jek Sperro (NPC), Anna, Merida, and Elsa ready to explore the temple! A billion years beyond "once upon a time" Elsa, Anna, and Merida dock their dagger-craft, the Silver Comet, just off the western coast of Ancuan so that they could explore the secret oasis-temple of Jruve. An oracle of great renown, Jruve was long sought after by Commodore Jek Sperro, who the Three Princesses of Nihliesh had escorted for the last several weeks on their perilous journey. 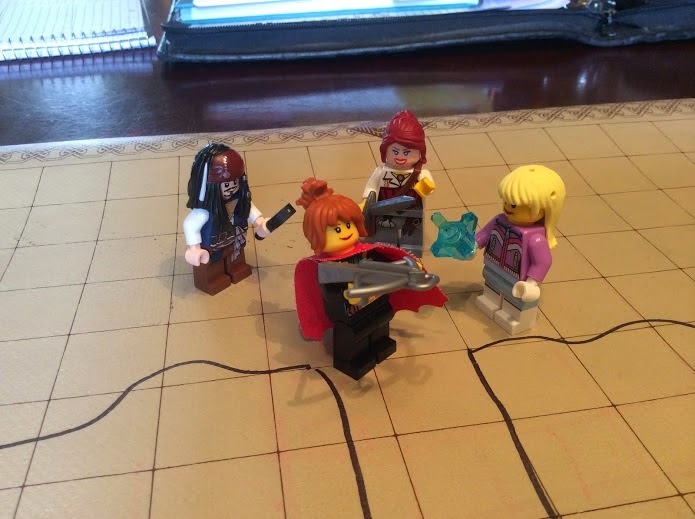 It had all come down to this last series of tests for the princesses and their piratical charge. They had faced troupes of guards, pirates, the kinkrak, and a crockosharktapus all to get to this one location. The entranceway to the temple seemed simple enough, an opening in the side of a hill, just off of the shoreline of Ancuan. There were four large blue pillars that were aligned in front of the entrance, each portraying strange carvings of unknown animals and abhumans. But all of this meant nothing to the Three Princesses, who really just wanted to get this quest over and done with so that they could go back to snow-loper riding across the Cold Desert of Matheunis. Elsa was the first to enter the temple, taking the long path illuminated by her glow globe. At the end was a ledge, and after that a twenty foot drop to a murky pool of water below. The pool was about fifty feet by fifty feet, with another ledge on the opposite side of the princesses. Merida moved forward and thought up the idea of tying an arrow to some rope. She then shot the arrow into the base of the other ledge, creating a tightrope. Figuring that she had the best balance, Elsa the graceful nano started to carefully tiptoe across the tightrope, carefully placing each step on the rope. But before she could get to the half-way point, the tightrope snapped, unable to support her weight. Elsa crashed into the water, and before Merida could jump in after her a whole school of dabirri, jellyfish with humanoid sized hearts implanted within them, appeared and began to encircle the nano. … but ended up not making friends with a school of dabirri! The dabirri lashed at Elsa with their crippling tentacles, and the nano desperately tried to utilize her powers of ice to defend herself. Merida, figuring herself a skilled swimmer, jumped into the pool with mace in hand. But her presence sent the dabirri into a feeding frenzy, and soon they started acting as one. Their poisonous tentacles jolted both Merida and Elsa with horrific pain, impairing both of them instantly. Anna realized that her two fellow princesses were in extreme danger, so she ran to the ledge crossbow in hand and threw Merida her anti-venom cypher while blasting away with her weapon. Merida used the cypher on herself, and then started smashing the dabirri into pulpy, squishy splotches on the water. Once Merida and Anna had dealt with the remaining dabirri, the rugged glaive climbed out of the water, and helped Elsa to the top of the ledge opposite the entrance. Anna soon followed and quickly moved into the next chamber. Soon both Elsa and Merida were swimming with the jellies. Evie thought it was rather funny that Anna stayed dry through this entire encounter. Anna had no fear charging right into the next chamber, and was rather excited to see what all the commotion was about, since she heard quite a few talkative voices echoing throughout the darkness. Could it be a party or other festive social gathering? Anna loved special events, and so she was rather surprised when the mud filled chamber before her didn't seem to have anyone bounding about. Strangely enough there were a few folks swimming in one of the muddy pools near the entrance that she had darted through, each one just sticking their head above water. Despite having an incredible stealth-cloak, Anna made no attempts not to be seen, so when the giant Mesomeme came out of the water, the swift jack was unable to skulk away. It was the Mesomeme that was making the noises, as all of the talking heads were attached to the creature's back by thin strands. The creature tried to grab Anna, but she was able to tumble away and activate her cloak. Merida had another plan for the creature. Rather than being terrified by the disgusting heads, Merida just saw the beast for what it was… a simple animal. And the rugged glaive had a way with calming simple animals. Merida walked forward, extended her arms, and carefully engaged the creature. The beast submitted to the glaive, and even allowed her to climb upon its back. Merida now had a trusty steed! The Mesomeme came out of the water! Unafraid, Merida's voice soothed the crustacean's temperament. A trusty steed, ready for battle! Anna had already received a glimpse of the room ahead when she darted away from the Mesomeme and by the time the rest of the crew arrived they all saw the same sight: a giant snail sitting atop a raised dirt platform that held an ancient tome made of synth and steel. Merida stayed in the previous chamber, unable to maneuver her Mesomeme mount into the room, so Elsa and Anna took Commodore Jek to see the oracle. Jruve called upon the Commodore and the Three Princesses of Nihliesh to bring her tasty cyphers and she would tell them of their future. Commodore Sperro did this immediately, climbed up the platform, handed over a cypher, and then listened quietly to a tale about what faced him in the future. Wistfully the Commodore disengaged himself from the rest of the party and slid back against one of the walls in awe about what he just heard. When the oracle offered the same thing to the Three Princesses they seemed less interested. They didn't trust the oracle, and feared that they would somehow be disturbing their future if they heard about how it was supposed to happen. Elsa did have her eye on the tome, however, and so she darted forward and tried to grab it. The oracle was aghast that this was happening in her chamber, and so she spit acid all over Elsa, nearly knocking the graceful nano unconscious in agonizing pain. Elsa ran for the exit with Jruve quickly behind her, but the giant snail was no match for the claws of the Mesomeme, who lifted the beast into the air in a tight grip. Entering the chamber of Jruve. Seeing an opportunity to use her stealth and win the day, Anna quietly grabbed the tome and shuffled out of the room, sneaking beneath the Mesomeme's legs. Merida was about to body slam the oracle when it turned its face to the giant crustacean and sprayed it with acid. The Mesomeme howled in pain and threw Merida to the ground. No longer an ally, the Mesomeme was done doing the rugged glaive's bidding. This seemed a good a time as any to get the entire party out of the Temple of Jruve. Ack! Merida landed face first in the swampy mess! 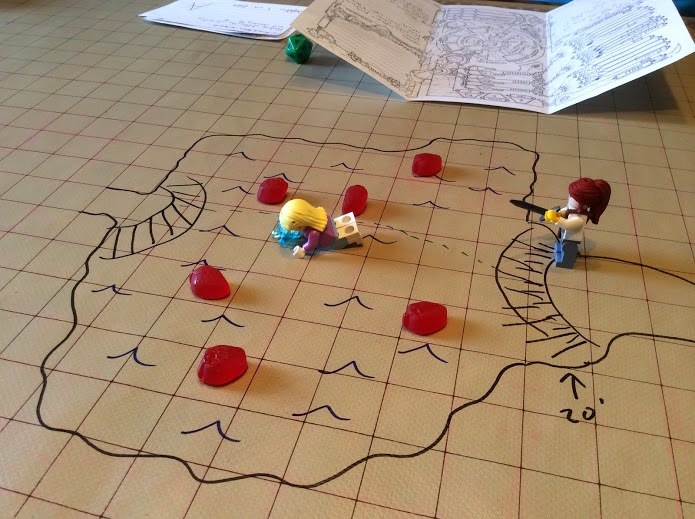 Outside the Temple of the Oracle the party quickly scampered to their ship and jumped on board. Lucky for them, both Tonto and Milo were standing watch. When the two shipmates asked where the Commodore was, the Princesses looked at each other. Sperro stayed behind, they figured, still mesmerized by what Jruve had told him. They hoped he would be okay, but wasted no time pouring over the book that Anna had stolen. When Elsa tried to decipher the artifact, however, she quickly lost control. The Tome of Le Future teleported the Three Princesses off the deck of the Silver Comet, and placed the smack dab in the middle of the Caecilian Forest, hundreds of miles to the northwest of Ancuan. While they shook their heads in bewilderment, the trio was approached by a frog-like figure riding a frog-like mount. "Hi-ho! You must be the help that the Oracle Jruve promised me in my quest!" His name was Kermite, and he had great plans for the Three Princesses of Nihliesh. Teleported into the Caecilian Jungle, the Three Princesses were greeted by Kermite. "What-up squishy?!?" - Merida swings her mace at one of the dabirri while wading, critically smashing it into a pile of goo. "It's called 'loading a die!'" - Carrie's term for rolling her 20-sider until it gets a "20" and then keeping it on standby for her next roll. Jen: "Things that aren't said in other households." "The claaaaaaw!" 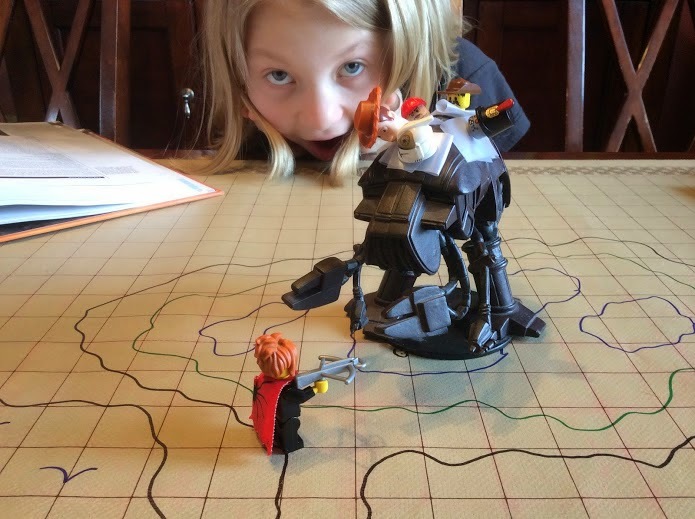 - Evie's comment as Merida's Mesomeme Mount lifted the giant Jruve off of the ground with it's pinchers. Sister Evangeline’s story seemed obvious enough. She was not a native to this island, but had crashed along with everyone else on the Princess Alexandra as it entered Earth’s atmosphere. She had spent the last year or so on Mars doing mission work near Syrtis Major, but was very happy to return home. The injured martian’s name was Cozric-Tigh, and he had helped the sister escape the clutches of the men in black garb, Obscura. Cozric-Tigh was injured escaping the crash site, strafed by an Obscura ornithopter. Finding the ogres, the sister used her linguistic abilities to communicate and eventually made friends with their chief. Fangzhi tried to use his ch’i healing powers to do something about the martian’s festering wound, but it was to no avail. Neither his energy-work, nor the Captain’s basic healing experience could do anything to stop the infection from spreading. The party would need to come across some kind of healing salve to assist in treating the wounded philosophe. The party was able to get quite a bit of information about the surrounding region from the ogres, through Sister Evangeline’s basic translations. They were a small tribe, and the Obscura force knocked out their northern brothers and sisters, taking over a small plateau. The Obscura force had a an airstrip, their own airship, and a rack that could launch rockets into the air. But they also had the pieces of the crashed Princess Alexandra, and it was decided that there could be leftover medical supplies on the vessel. Lady Thana asked for assistance in infiltrating the Obscura base, and the ogres agreed to send one of their scouts to guide the inquisitives through the jungle. At the edge of the Obscura base the party got a full sense of what exactly they were dealing with. This was not some basic outpost for Obscura, it was a full-on base of operation. What poor luck befell the Princess Alexandra so that it would happen to enter the Earth’s atmosphere directly over this incredibly laid out facility! At the center of the base was a rocket-rack, a rotating launcher that still had a trio of twelve-foot long, high-explosive rockets ready to fire. There were several buildings in the outpost, each was well constructed and capable of housing the dozens of Obscura workers who were tirelessly reconstructing the Princess Alexandra for their own reasons. On the short airstrip was a very long (300’) zeppelin, with a well armed gondola compartment. A dozen and a half guards patrolled the area, each armed with a bolt-action rifle and donning sleek black armor. And smack dab in the middle of all of this was a giant, 25’ tall, steamtech enhanced, coal-fired tyrannosaurus rex acting as sentry. How Obscura ever gained the technological knowledge to pull off such a feat as that gargantuan lizard, the team of inquisitives could not fathom! 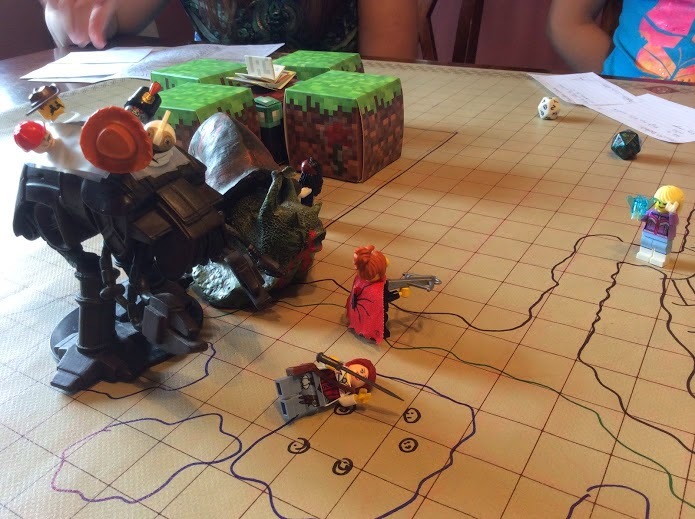 Knowing that they would not be able to take out all of the guards, the dinosaur, and the rocket launcher with just their small team of five plus one ogre, the party prioritized their objectives. The mission of this entire excursion was to return to Ravenswood College with as many of the martian philosophes as possible, and with one as gruesomely injured as Cozric-Tigh back at the ogre-lair, the team needed to care for the “bird in the hand.” Hoping that the medical supplies could be found inside the intact sections of the crashed Princess Alexandra. The party waited until nightfall. Once they were ready for action, Fang quickly darted out to the craft, careful to stay out of sight, and secured the rear hatch to the vessel. There was a single guard just around the corner, so the wudang initiate would wait at the ship’s rear while Lady Thana and Reginald Thistlethorpe entered to investigate. Most of the crashed craft was in similar condition. The central portion of the interplanetary liner had heavily damaged floors, but remained in decent enough condition to move throughout. The first section contained space-suits, capable of traveling out into the aether were the ship still in space. The second section was a large and grand common quarters, with beautiful floors now destroyed, a bookshelf lacking any intact works, and a baby grand piano. While the rest of the team was looking to be as silent as possible, Reginald couldn’t hesitate but to play a few keys due to his curious nature. This caught the attention of the guard just outside of the craft, but with Fang ready for action the poor Obscura agent did not last long. As soon as he rounded the corner of the ship’s stern Fang looped a rope around his neck, put his foot to the back of the guard’s skull, and ripped the head of the poor soul from his shoulders. Reginald moved further into the craft but was careful to extinguish his lantern. Large sections of the vessel’s hull were missing, allowing light to enter these compartments from the outside as the base was well illuminated by spotlights, torches, and other various means. Reginald had to be careful not only of the broken pieces of the ship’s floor, but also that no guards would see him skulking about. Luckily for the party, it did not take long for the psychic medium to find his target: a surgeon’s kit in the room that once housed the ship’s doctor! With the kit in tow, the inquisitives quickly escaped the base and headed back to the ogre lair. Captain Chance, now equipped with the proper tools, was able to somewhat heal Cozric-Tigh’s wounded hip, and administer medicines to sooth his infection. Bedding down for the evening, the party waited and hoped that the martian would come too. By the next morning the inquisitives were second guessing their mission, as the martian they had saved was sort of a jerk. Cozric-Tigh had little regard for humans, Earth, or even the team that saved him. He was definitely a philisophe, and so part of the mission was accomplished so long as they could get him off the island with some of his fellow martians. It was clear that there were at least another 4-5 philosophes held captive at the Obscura base, and the party needed to determine a way to infiltrate further and then get everyone off of the island. At first they thought about continuing their earlier plan of stealing the “book” (an apocryphal bible, according to Sister Evangeline) from the Ogres and returning it to the cat-people, in order to gain their feline skills for the fight against Obscura. But since the cat-people were a team of pragmatic traders, already willing to deal with Obscura, the inquisitives were worried that they would not be as helpful as the ogres. So Lady Thana, through Sister Evangeline and Reginald as interpreters, convinced the ogres to lend their services as a distraction for an upcoming raid on the Obscura base. 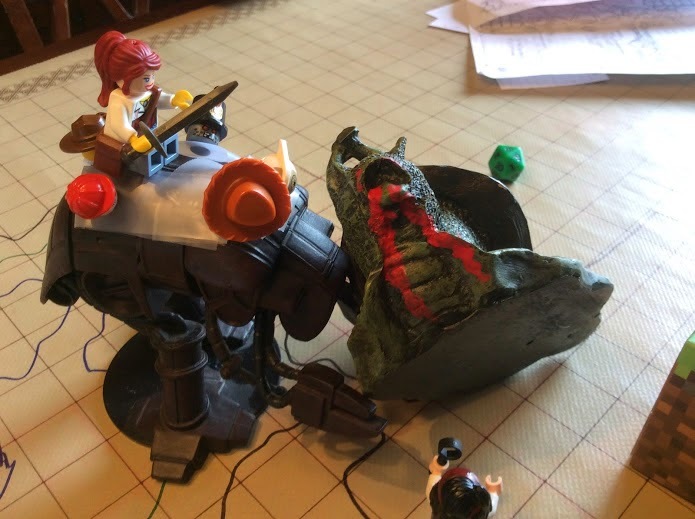 But that still left the team with the hard task of spearheading the mission into the dangerous, steampunk T-rex infested Obscura base on their own. “Tell me all your Martian secrets!” - Reginald wanted desperately to interrogate the unconscious and dying Martian. “Okay, you take the T-Rex.” - Fang was definitely not going after that steampunk monstrosity first, but he had no problem planning the attack. “Frank, you can knock people out, can’t you?” - Craig questioned Frank’s characters’ abilities. “If nothing else, I’ll start taking his clothes off.” - Frank knew how to paint a beautiful picture with words. “Everyone knows ogres respect Martians, right?” - That’s at least what Reginald thought.